Columbia Elections Council released results late Saturday evening. Patricia Granda-Malaver, CC ‘20, and Henry Feldman, CC ‘21, will serve as CCSC student body president and vice president for policy, respectively, receiving 100 percent of votes as uncontested candidates. Both were part of the IGNITE party, which emphasized a platform of collaboration with student groups on campus and organizations within the city, as well as a focus on food insecurity and resources for students who take medical leave. Jesus Guerra Ocampo, CC ‘20, who ran on the CU Change ticket, will serve as VP for campus life. CU Change ran on a full executive board ticket, but lost its president, VP of policy and VP finance partway through the election cycle. Upcoming University senate positions will be held by Heven Haile, CC ‘21, and Ramsay Eyre, CC ‘21. This election cycle also saw a significant number of major and minor rules violations from 10 CCSC candidates. Granda-Malaver was found guilty of a major rules violation according to CEC policies that prohibit a candidate from misrepresenting factual information about themselves, CEC results show. Additionally, Eyre was found in violation of election policies that prohibit candidates from placing posters or flyers in an undesignated stairwell. 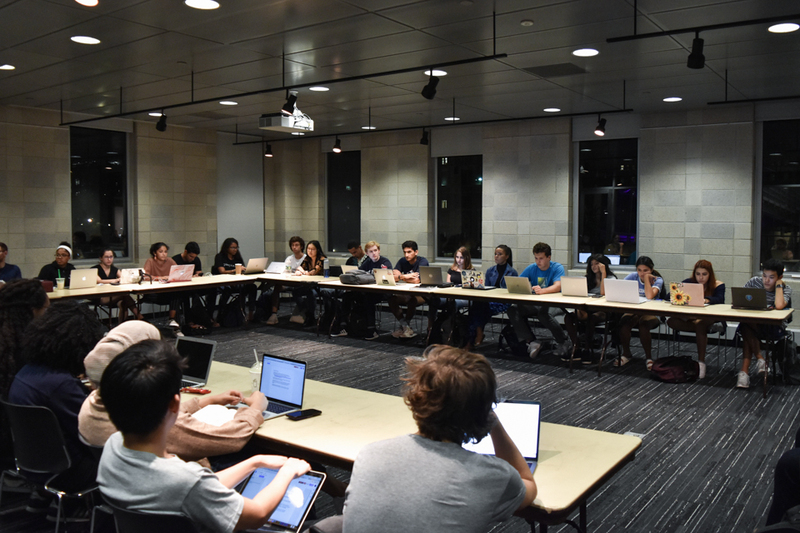 CEC also found all candidates on the CU again party, which now holds positions as class of 2022 president and vice president, guilty of a major rule violation, citing policies that prohibit candidates from attacking the character of a candidate, as well as misrepresenting other candidate views, experiences, or platforms. All party candidates were found guilty of a minor rules violation for postering in prohibited areas. Academic affairs representative Yasna Vismale, CC ‘22, and gender and sexuality representative Kwolanne Felix, CC ‘22, committed minor rules violations for being affiliated with or campaigning on behalf of another party or candidate. Major violations incur a deduction of 10 percent of total votes, while minor violations incur a deduction of five percent divided by the number of candidates running for the position of the total number of supporting votes. Multiple major violations can result in disqualification. Correction: A previous version of this article cited incorrect information from CEC stating that Eyre had been found in violation of policies that prohibit candidates from endorsing posts with a “like” or “love” reaction on social media. CEC had, in fact, informed Eyre that he was cleared of that violation after it was raised.